He was probably a brother of rabbi Avroham Yosef Appleman mentioned on this site. 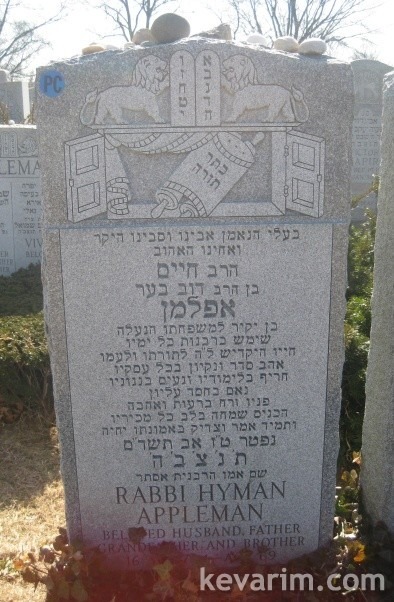 Yes, he was a brother to Reb Avrohom Yosef, and as mentioned in the brothers profile, thier father lived here as well and served as rabbi in a Brooklyn Congregation. P.S. The Matzeive has more then one Pelling mistake, and poor Hebrew Grammer.